Think back, I bet you can remember the names of teachers who influenced you in High School and college, who excited you to pursue science and then directed you towards medicine as a career. I remember Mr. Bailey in High School who made theater come alive as we read the Greek tragedies, Ibsen, Shakespeare and were introduced to modern theater. In college, my Sociology Professor expounded on the work of Margaret Mead and Ruth Benedict and I became aware that many of the dogmas that I had learned were simply the mores of one society and were not universal truths. Of course we all remember our Organic Chemistry Professors in College. Entrance to Medical School hung in the balance and it was often the recommendation of the Organic Chemistry Professor that resulted in thumbs up or thumbs down. However, before those mentors I had the mentoring of a father who was a specialist in Ear, Nose and Throat and an uncle who was a General Practitioner. I honestly don't think I ever considered a field other than medicine based on their examples and I have no regrets today. In college I worked as a scrub nurse in the summers and even then I was intrigued by the accuracy of the urologist. He would look at a KUB, make a small incision, move about a bit with his fingers, ask for the scalpel and extract a ureteral stone. In contrast the general surgeon often performed an exploratory celiotomy for an unclear diagnosis leaving the operating room empty handed without a diagnosis. Entering the University of Virginia, Dr. Al Paquin, trained at the New York Hospital with Dr. Victor Marshall, lectured us during the second year integrated into his lectures his groundbreaking research understanding of the uretero- vesicle junction which led to one of the successful techniques of the correction of reflux in children. You must remember that pediatric urology was a new field at that point. Paul Lange emphasized in his comments to you that it is the exposure of the student to research, be it basic or translational, which influences career choice and generates excitement. 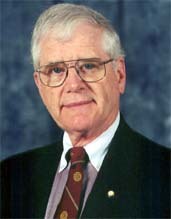 During my surgical years at Vanderbilt, Dr. William Scott was doing basic research on peptic ulcer disease and conveyed the importance of clinical trials and randomization to the house staff and was a consumate example of a superb operating surgeon who was dedicated to advancing knowledge in what we would now call in an evidenced based fashion. Dr. Scott encouraged me to write a paper, my first, and a simple case study. You can look it up, it was called a Repunzel Syndrome, the name came from a Grimm's fairytale. I found it was nice seeing my name in print. Returning to Virginia, one of the opportunities for our lab year was working in the area of renal physiology with Dr. Jay Gillenwater. I never had been able to understand renal physiology in medical school so I thought that if I could spend a year in the lab in an area that perhaps it would become clear to me. Little did I know that that year studying obstructive uropathy would change my life. As Paul stated in his article, I was in the excitement phase. That excitement phase was so strong that it led me to spend two years in internal medicine following my urology-training program and I was lucky enough to work with a true genius, Dr. John Laragh at Columbia Presbyterian in the field of hypertension. During that exciting time we had a brilliant group of fellows, we challenged the common notion of step therapy for hypertension and identified subsets of patients based on their renin profile for specific therapy. However, the lessons that I learned were broader, we spent hours developing a protocol, hours challenging our own data, hours preparing a paper, and were exhausted by the time a manuscript was hatched and sent for review. The excitement of discovery was infectious, however we realized progress was slow and changing clinical care was difficult. Dr. Laragh often said you are only as good as your methods and we learned to respect methodology, experimental design, reproducibility of data, interpretation of results, and restraint in our discussion of the data. I returned to Virginia in what Paul Lange terms the establishment phase. Importantly, I never had an independent isolated laboratory of my own but worked in the Pharmacology department. I worked with Michael Peach, another brilliant scientist who taught me many lessons, I will share two. The first was coming to work, stopping by the library, seeing a paper published which was exactly what we were doing in the laboratory. Totally distressed I showed it to Mike. He said great, how long would it have taken you to finish your experiment? Six months I replied. So you've just saved six months, but start right now with the next step that is more exciting than this piece of work anyway. Secondly, we had made a new discovery and a guest from the Cleveland Clinic was there. Their laboratory was probably 10 times as large as ours and highly successful. Mike was the blackboard showing them our discovery. We hadn't written an abstract, given a presentation or even thought about a paper concerning the discovery. When the other person left I asked, how could you show new data to somebody before we have it published?, he looked at me with a very stern look and said "don't we perform research to share information and advance knowledge which someday will help patients?" One of the messages is that you make no decisions in isolation. The Academic environment is ideal for an exchange of ideas whether in a department or an institution or within the discipline as a whole. Secondly, there is very little in urology that is performed today that I learned as a resident or even as an academic faculty member a decade ago. In contrast, to some other specialties we seem to thrive on innovation and change as is exemplified by our acceptance of laparoscopic and robotic surgery. As academic surgeons, there is a mandate to translate basic research and look for the solution of clinical problems. However, we are compromised in our ability to maintain basic science skills at a time when the field is rapidly changing. The solution is obvious and that is close collaboration between basic scientists and clinicians as we go forward in an attempt to solve clinical problems. Finally, my strong bias is that you should look at a residency program that it has a research experience. As I look back, a year has the half life of shooting star with the backdrop of the constellations as a lifetime. As you look at programs, resident applicants have to determine the importance that the professors place upon resident training, resident education, dialogue and mentoring among the multiple tasks that academic urologists perform. A program where mentoring is a crucial part of the mission of the department will serve you well.